I am a volunteer member of the "pit crew" at the ACD Museum in Auburn,IN. 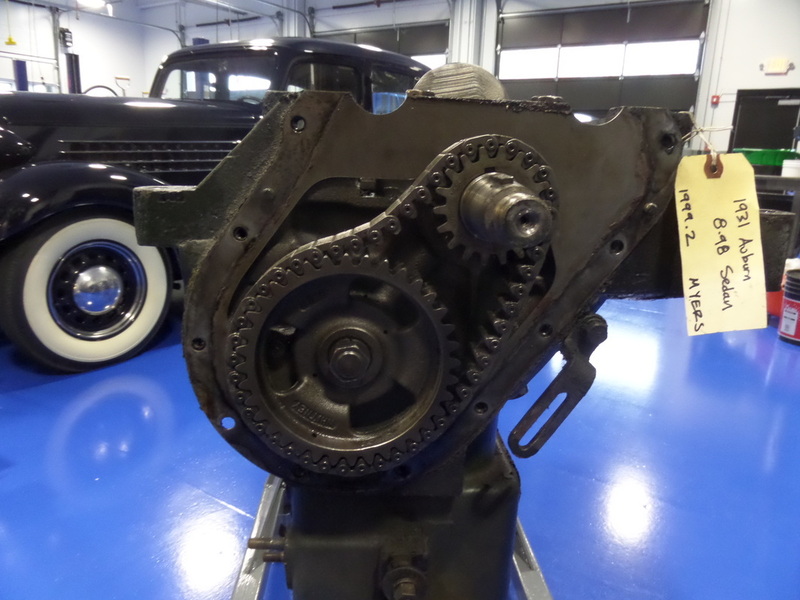 We service the cars in the Museums collection. We also prepare cars for long term storage, or prep them for upcoming shows and events. The fun and interesting part of the job is the wild variety of things we get to see and work on each week. 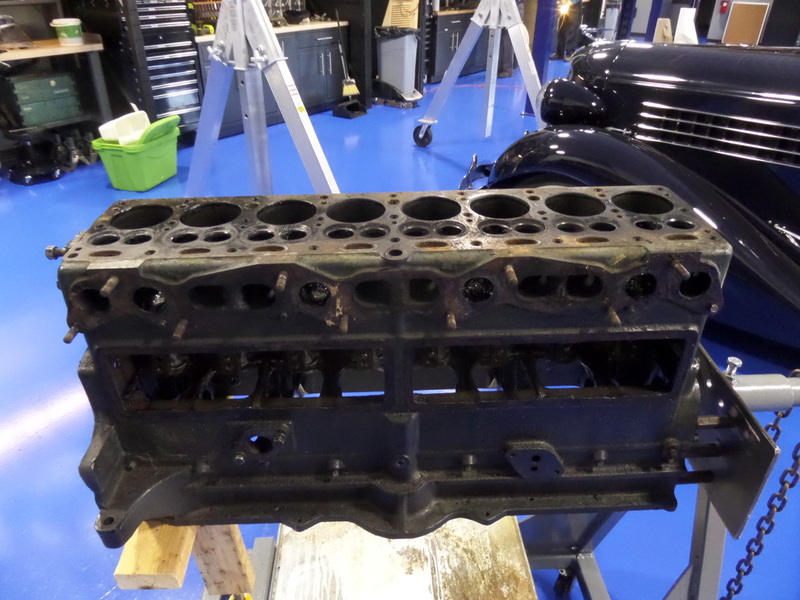 These are photos of the engine being dissembled.The Engine is from a 1931 Auburn 4 door Sedan.The car is the Museum's "Education Car", that was used for Parades,Events,and giving rides to people in an "Old Car". It is a nice car, but was definitely showing its' age in the power department. 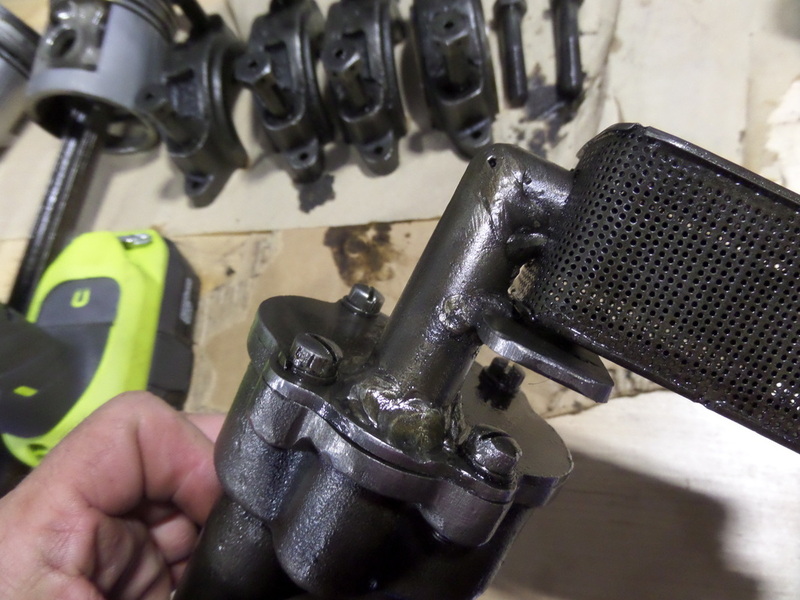 Poor power, low compression, and finally a "Knock" had her headed to 'Sickbay'.We discovered a broken #1 Piston, and decided to pull the engine for repairs and 'freshening up'. They are in no particular order,I hope that you enjoy seeing a Lycoming "eight" apart! Our Senior Mechanic with the bad Piston. Note the shape of the skirt! 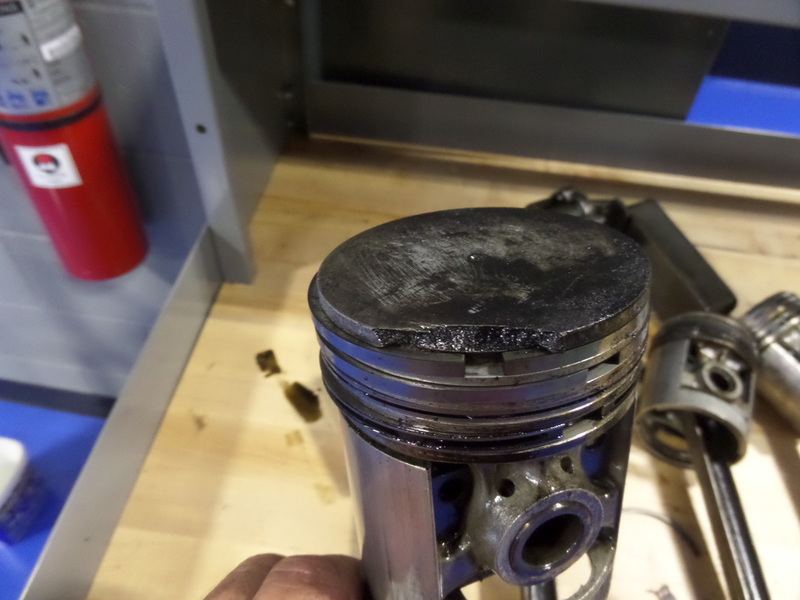 Broken #1 piston. It is an original. 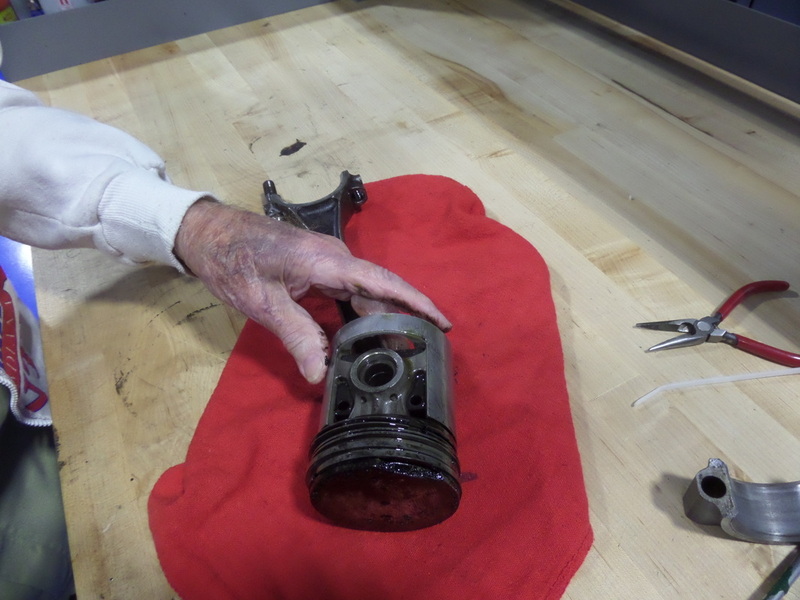 look at the wrist pin oil holes. 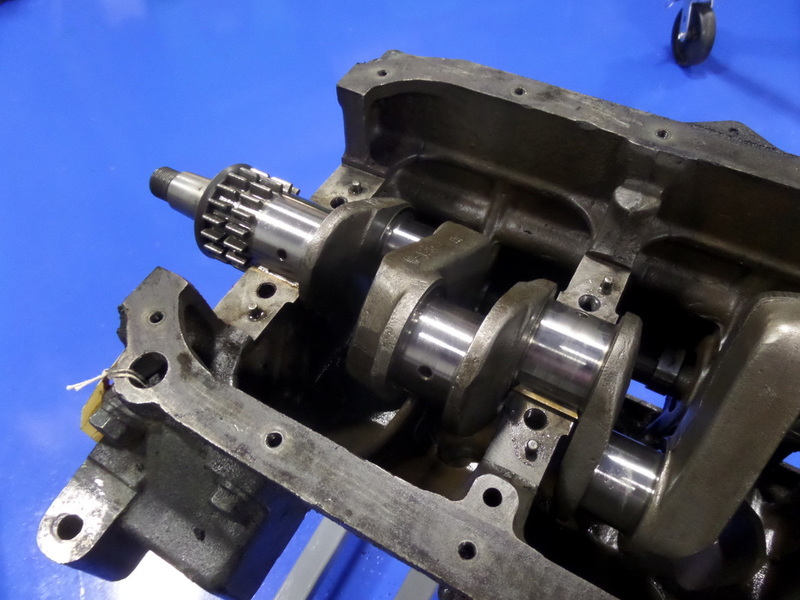 "Atlas" forged crankshaft, 4.75" stroke. 3" bore gives this engine 268 cubic inch displacement. 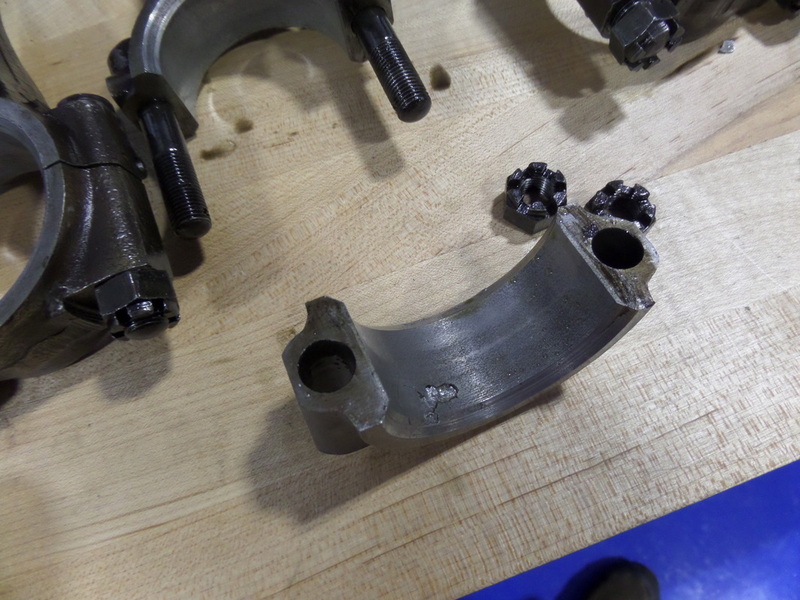 one bad Connecting Rod bearing. It looks as if the babbit had some contamination when poured to allow this tiny chunk to fall out? 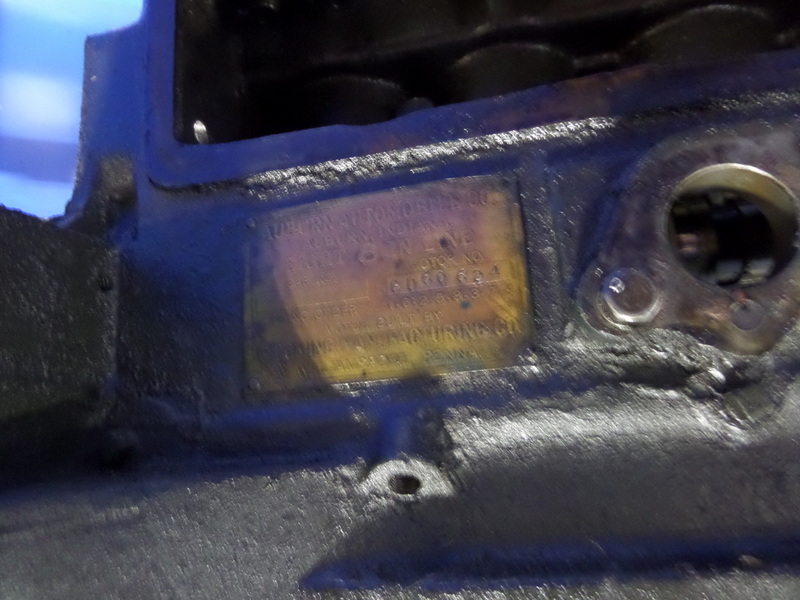 The notch is where the oil pump is mounted. 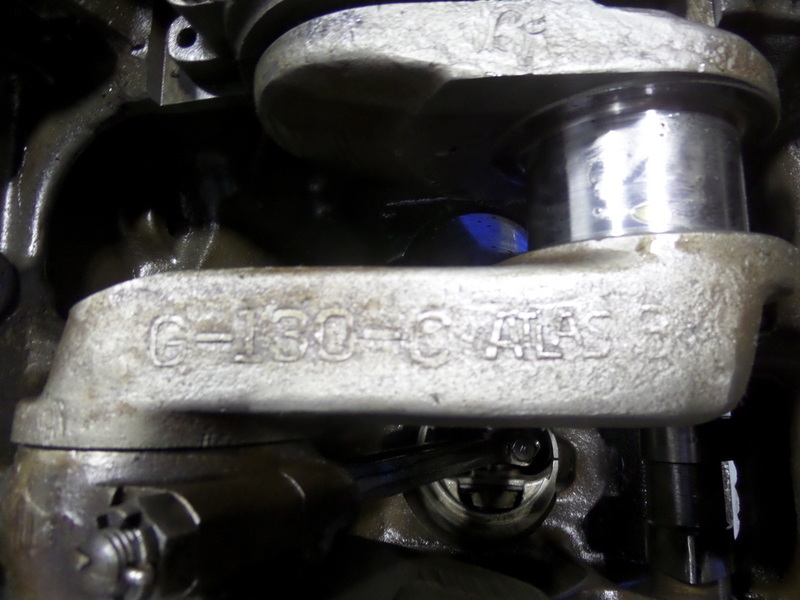 Main bearings are insert type. 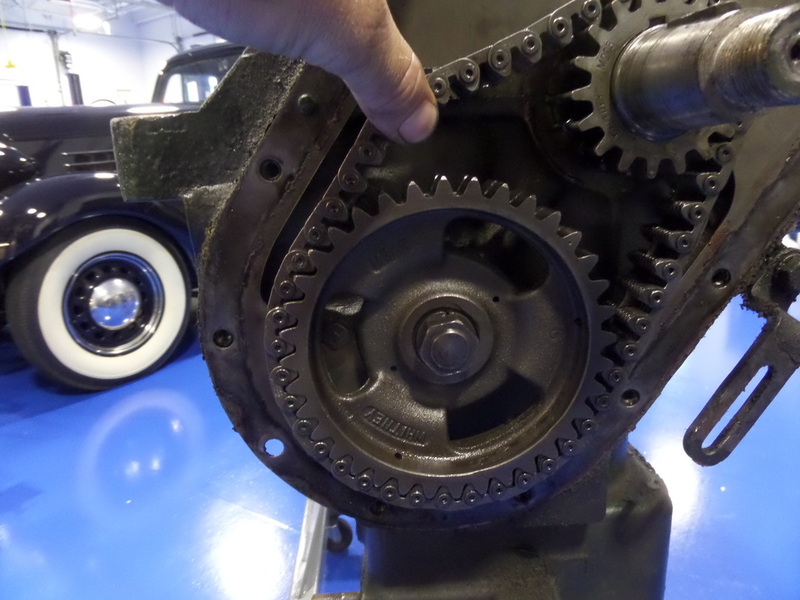 Front of crank before removal. 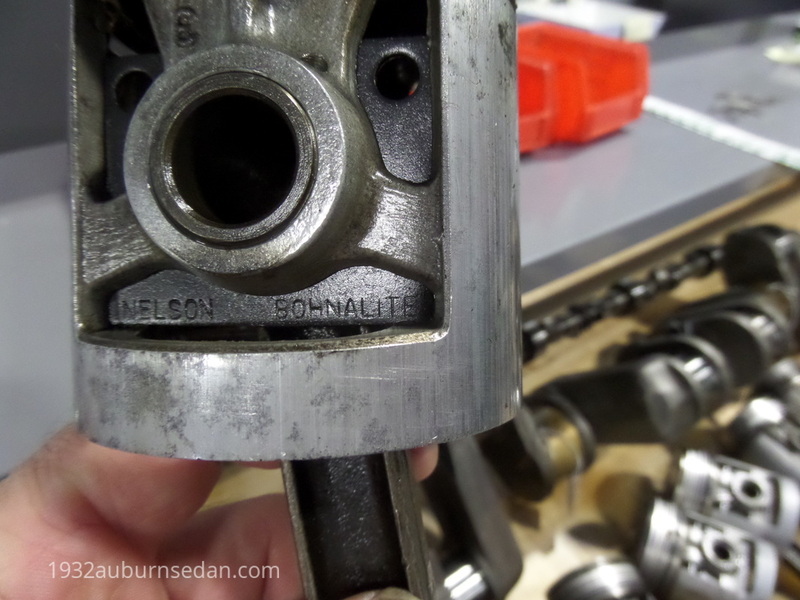 The crank and all of the bearing surfaces look great. main bearing showing babbit poured onto a brass shell. 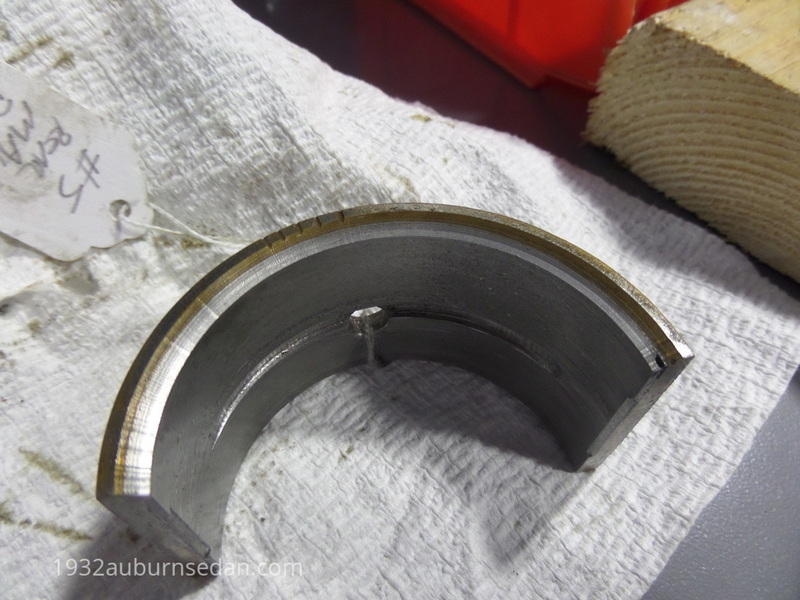 This is the Thrust Bearing. Rods all lined up on the bench. 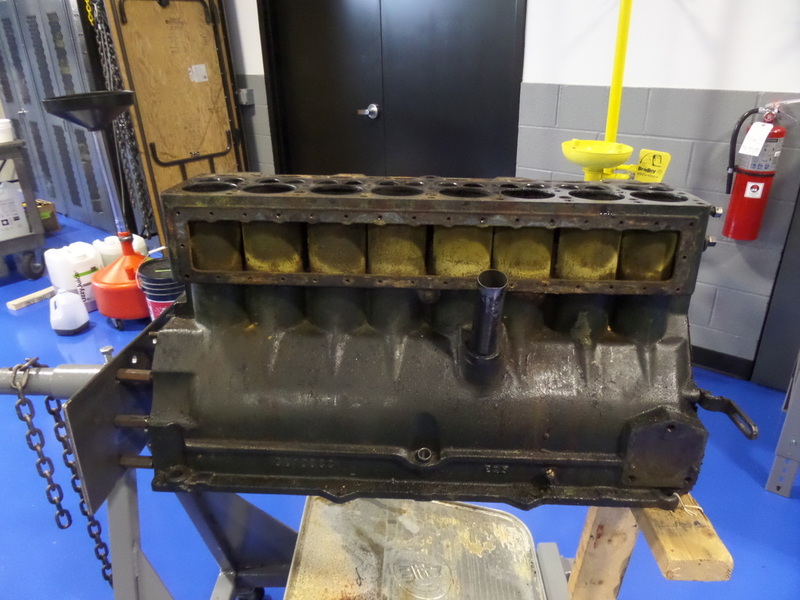 This 8-98 engine has a 3" bore, 4.75" stroke. 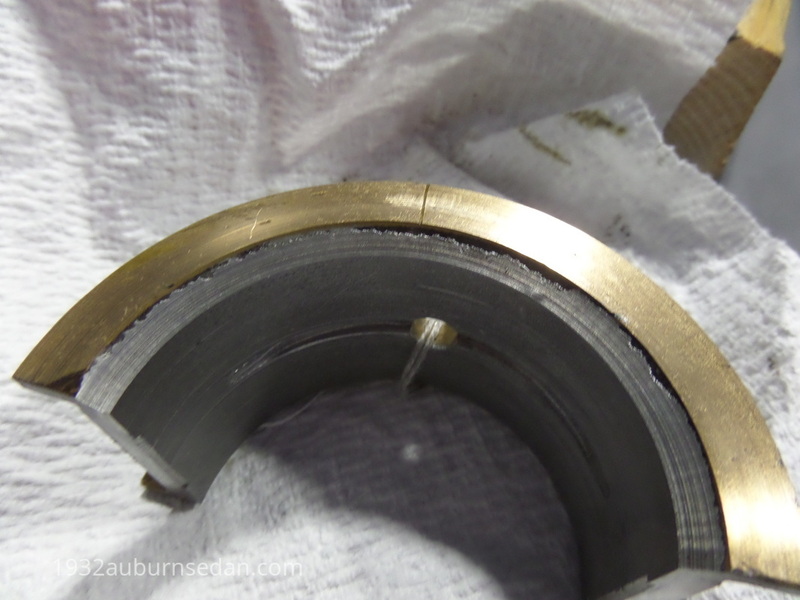 another Main bearing from the engine. 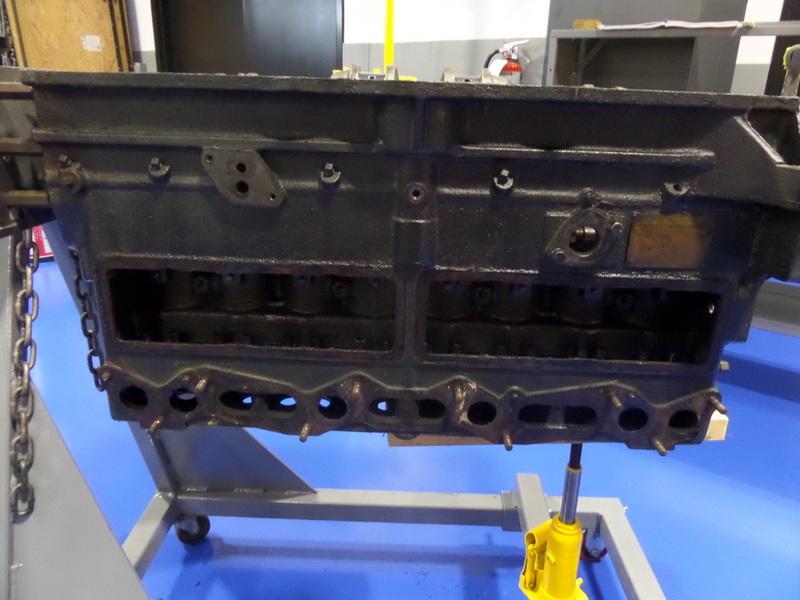 Water jacket cover removed.Neat to see the individual cylinders! Back of block on engine stand. It is tall and skinny! Block upside down. 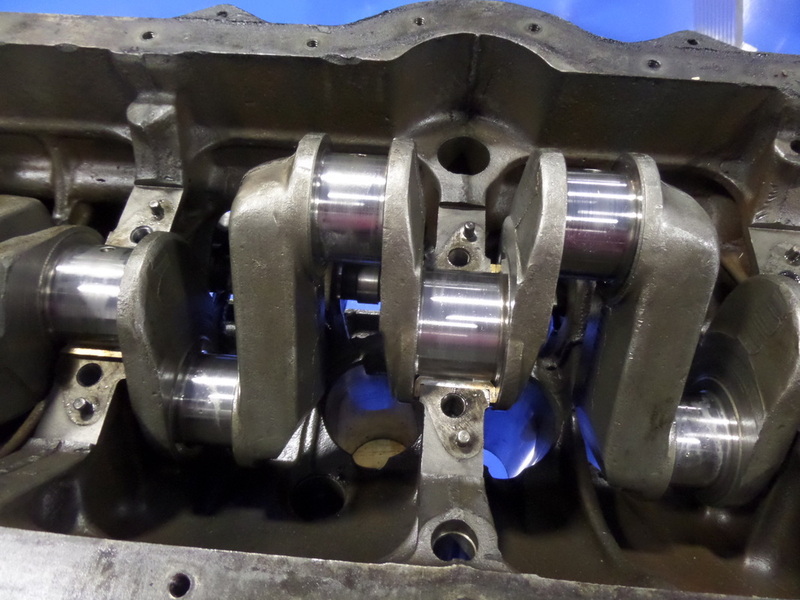 The Pistons and rods come out of the BOTTOM as the Rod end is larger than the bore. Dirty valve seat area. 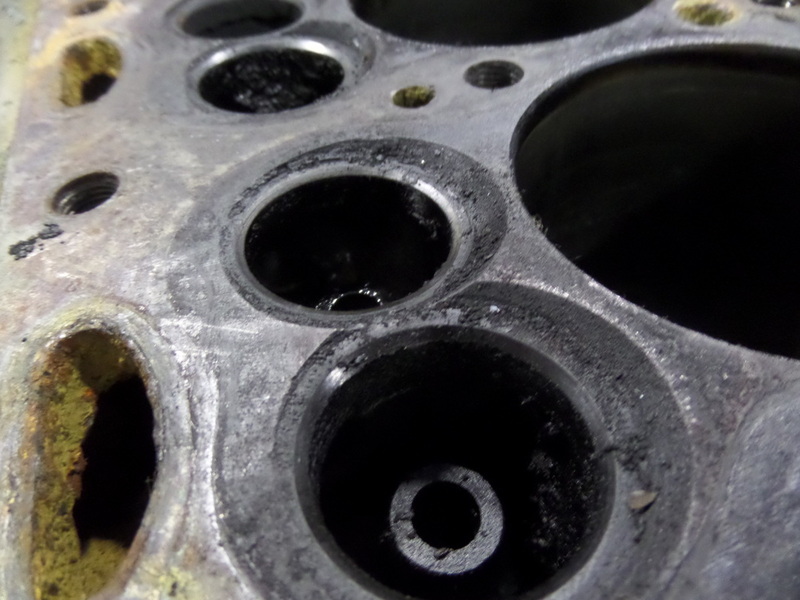 The valves are at a 7* angle to improve flow into the cylinders. 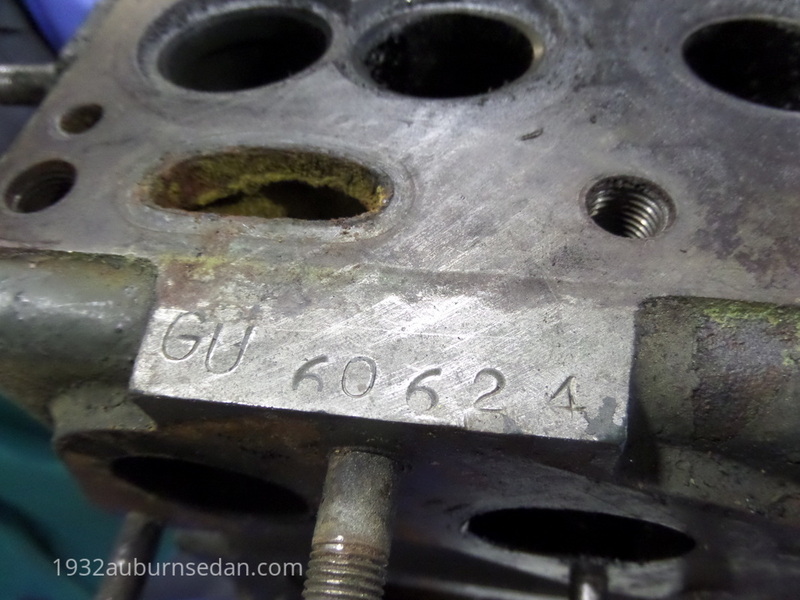 Engine ID stamped in 83 years ago! I hope that you have enjoyed these photos.Feel free to drop me a line with comments on these pages, it helps (me) to correct information and see what viewers find interesting.